Earlier this year, CSF-Brazil participated in three public hearings on the proposed Castanheira hydroelectric plant in Mato Grosso state. 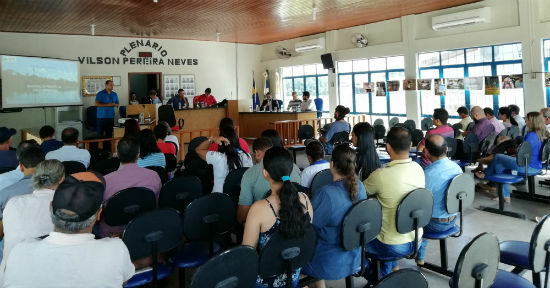 Organized by the Federal Public Ministry and the State of Mato Grosso, these hearings were an opportunity for dialogue among the region's civil society, indigenous peoples, and organizations that will be directly affected by the dam’s construction. We presented the results of our cost-benefit analysis of the project at the last hearing, which was attended by more than 500 people. Our analysis demonstrated that the Castanheira dam is not economically viable if built and operated according to the parameters provided in the official documents of the Energy Research Agency (EPE), generating a loss of approximately $ 81 million. Our analysis also estimated an additional potential loss to society as high as $62 million when accounting for net greenhouse gas emissions, economic losses from flooded areas, and declining fish stocks downstream. Our recommendation was for the Brazilian government to review both the project’s financial assumptions and quantitative assessment of the impacts, and compare it with cleaner and cheaper energy sources. More importantly, however, is the need to create open and transparent dialogue among policy makers and civil society institutions about the potential benefits and adverse effects of dams. Hearings like the ones we attended in Mato Grosso are the first step in that direction.